Bio: Dr. Bob Fuson is on the faculties of Hastings College and Doane University. He is the leading authority on the life and works of the late LeRoi Moore. Ensemble Bio: TCBSQ is an "unusally resonant" saxophone quartet, following in the traditions of the Harvey Pittel Saxophone Quartet and the Hollywood Quartet. Paul Haar Soprano Saxophone Dr. Paul Haar is the Associate Professor of Saxophone and Director of Jazz Studies at the University . 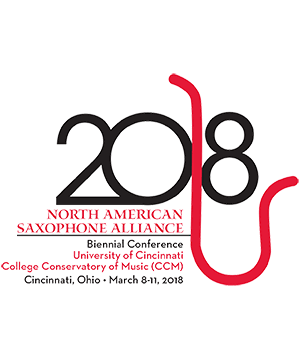 . .
Nick May Alto Saxophone Nick May is a professional saxophonist and winner of concerto competitions held by the Lincoln and A . . .
Wade Howles Tenor Saxophone Dr. Wade Howles is the director of bands at Lakeview Community Schools and an authority on the saxop . . .